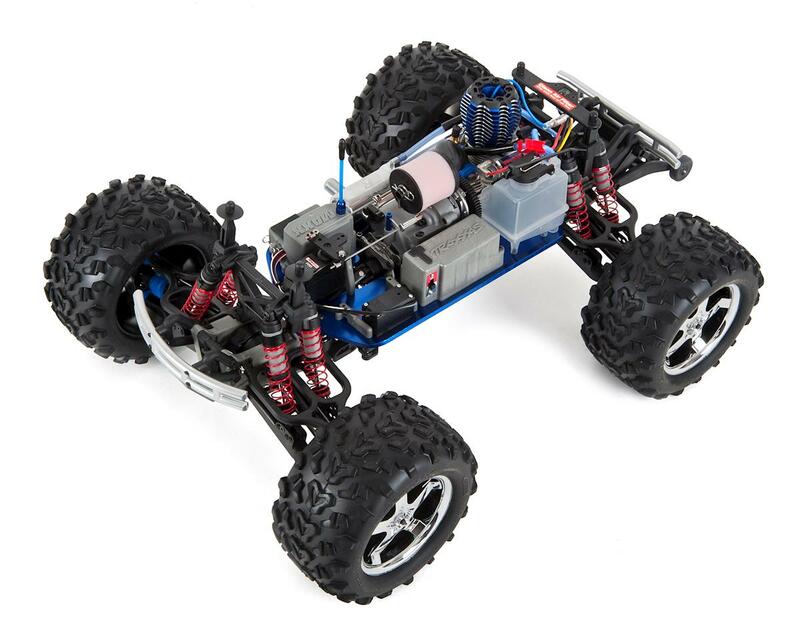 This is the Traxxas T-Maxx 3.3 4WD RTR Nitro Monster Truck. 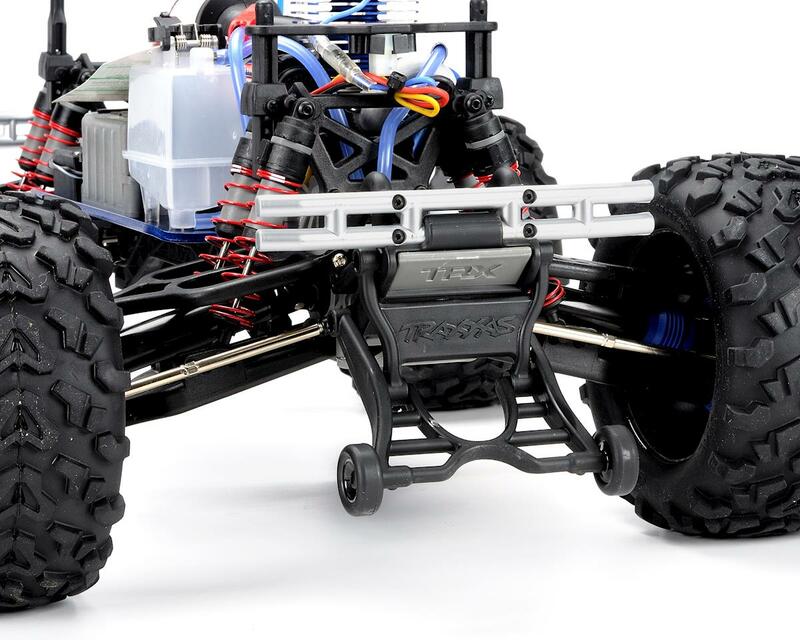 This kit includes the TQi 2.4GHz radio system, optional Docking Base, factory installed telemetry sensors and white body. 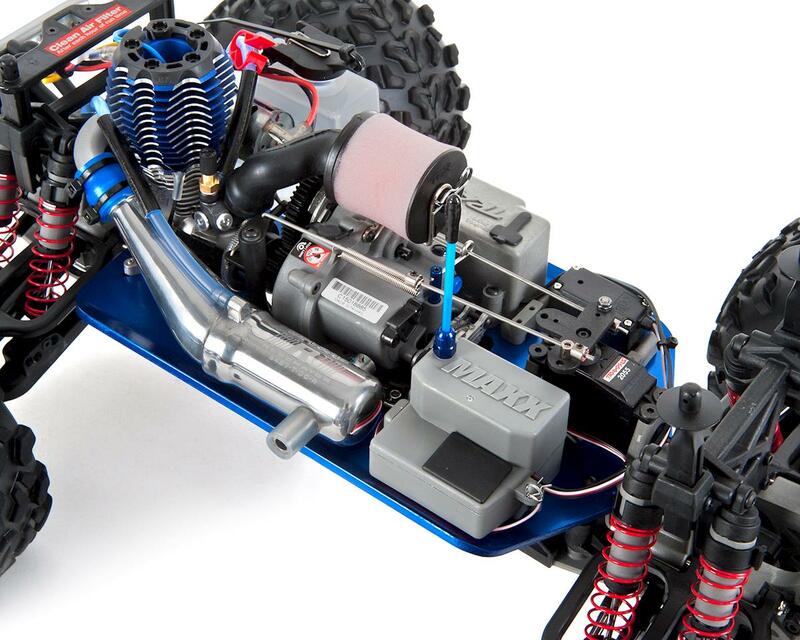 When the T-Maxx was released, a new world of R/C possibilities emerged. 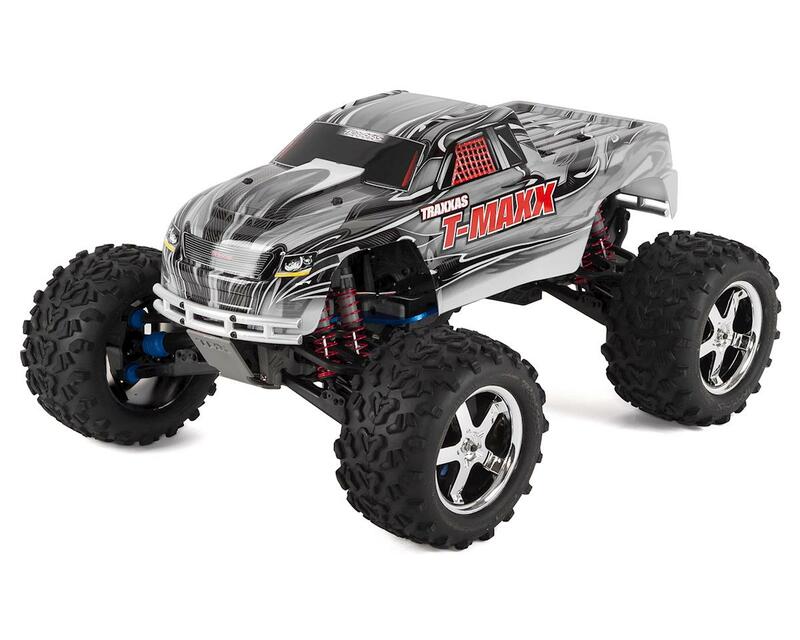 T-Maxx sets the bar for monster truck performance and fun. 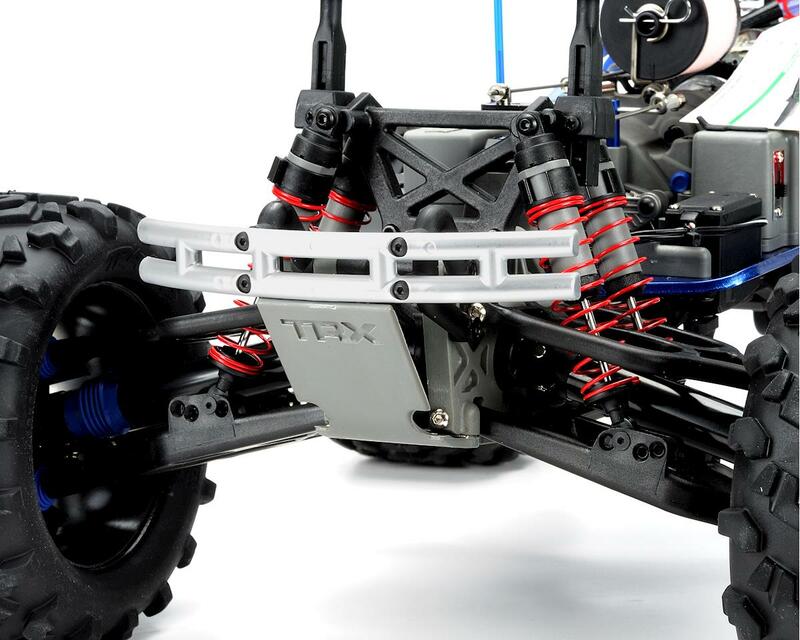 There are a mountain of imitators, but the T-Maxx claws its way to the top with unmatched performance, durability and fun. No other truck has received more awards and accolades. 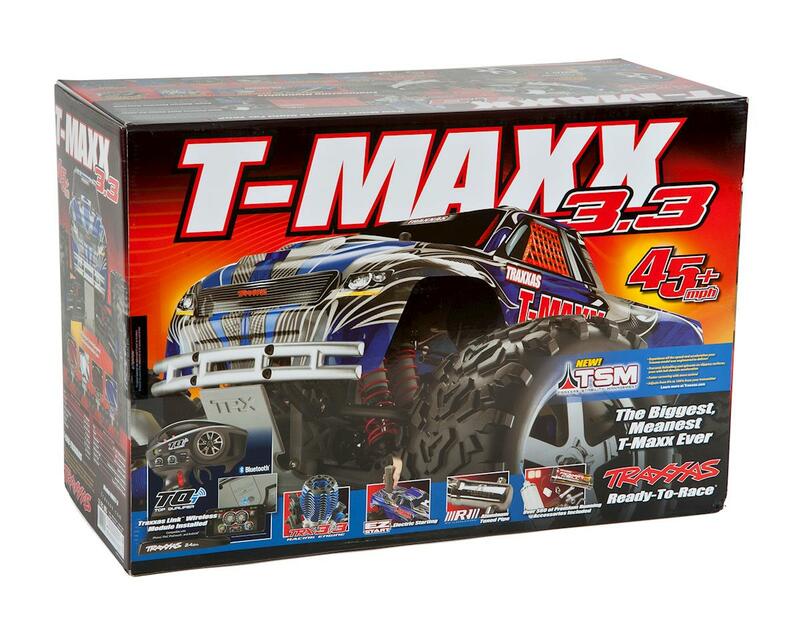 T-Maxx is the best-selling monster truck on the planet. NOTE: The vehicle shown may not be an accurate representation of the body color you will receive. Colors are selected randomly. 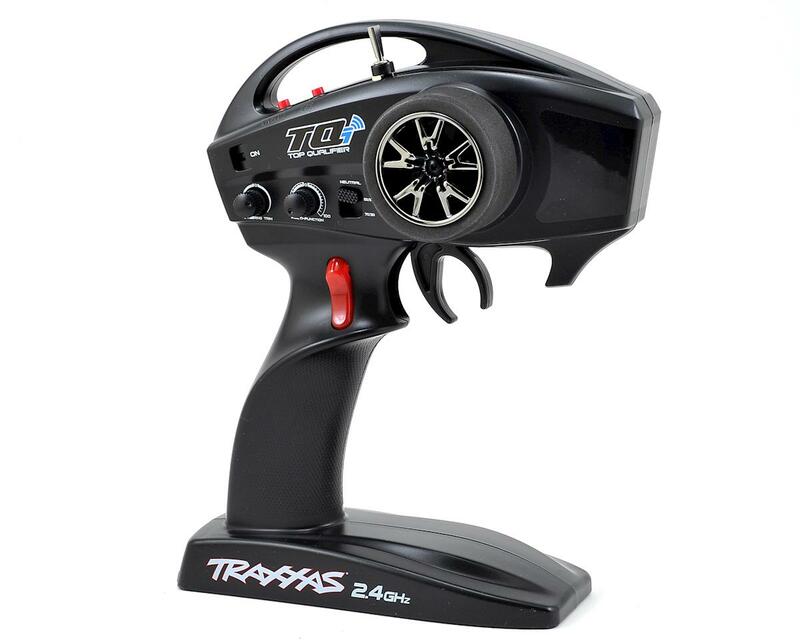 The Traxxas T-Maxx 3.3 model TRA49077-1 is available in four different colors; black, blue, white or red. If you would like a specific color, please contact our customer service department prior to placing your order and we will do our best to honor your request.